Picking which supplements to use is only half of the battle. Taking them at the appropriate times and in the appropriate ways, can be the difference between seeing the results that you want or not seeing results at all. 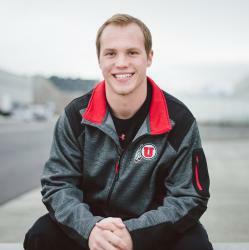 Today, I am going to provide you with information necessary to get the most out of your supplements. There are a lot of supplements out there, that help in a variety of areas. For the simplicity of this article, I am going to focus on the big three that the majority of people use. A pre-workout mix, a post-workout protein powder and an overnight protein powder. These three supplements should be a staple in your nutrition and workout routine to help you achieve the best results possible. When to take them and why it’s important? The names of each supplement should be your first clue as to where they will fit into your day. A pre-workout should be taken about 20-30 minutes before your workout in order to give it time to digest and do its job. Most pre-workouts contain caffeine (or another stimulant) and a vasodilator to increase blood flow to the working muscles. On rest days, skip the pre-workout. Another tip is to cycle with stim-free pre-workouts to avoid building a tolerance to the caffeine. Doing so will allow you to get the same benefits with every workout, while also allowing you to get that extra caffeine boost when it is needed. IdealFit has a great line of stim-free pre-workouts that I highly recommend checking out! Next on our list is our coveted post-workout protein powder. Right off of the bat, I want to knock out the myth that is, you only have a 30-minute anabolic window to consume protein after a workout is completed. Research has shown that the immediate consumption of protein post-workout, only has a slight effect on body builders. For the average weight lifter though, it really doesn’t make a difference. That isn’t to say that a post-workout protein drink isn’t effective, it just means you can take it within hours of finishing up that last set. There is no need to stress about the time it takes to get that protein shake down. Finally, we will look at our overnight protein powder, which I think is one of the most underutilized supplements on the market. When we sleep, our body recovers from the work we performed on it throughout the day. Providing it with nutrients can really help to speed up recovery and to increase muscle mass. Most overnight protein powders are a blend of quick and slow releasing protein types. This provides your body with the constituents to perform protein synthesis more effectively and efficiently, ultimately giving you better results. Taking this supplement within the hour before you go to bed will work the best, but you can take it closer to when you fall asleep as well. Most people are going to take their supplements with either water, milk or juice. I am here to tell you that it matters what you mix in with your supplements. So, let’s jump right in. Pre-workouts have a decent amount of caffeine in them, not to mention that you take them right before working out. For these reasons, we want to make sure we are hydrated. I highly suggest taking pre-workouts with water. You can take it with juice, but be careful as juices are very high in simple sugars. This might not be ideal for helping you to achieve your goals. I would outright avoid milk, because the higher fat content of milk will slow the absorption of the pre-workout, which will delay its effects. This is not what we want when taking a pre-workout. Water should be your go-to here! Post-workouts should be consumed with milk or water. Despite what you have heard about “needing carbs right after a workout,” I don’t think that is a smart move. By introducing a lot of simple carbohydrates from juice into your system right after a workout, this increases the amount of insulin present in your blood to help deal with the influx of carbohydrates. This increase in insulin will actually stop the production of growth hormone (GH) and Insulin-like growth factor 1 (IGF-1), which creates an anabolic environment that we want after a workout. So skip the juice and stick with water or milk. For the overnight recovery drinks, this is where whole milk is recommended. Just like how above, the fat in milk would slow/delay the effects of pre-workouts, well that is ideal in this situation. If you are trying to avoid the excess fat and calories because you are trying to get leaner, then water still works just fine. 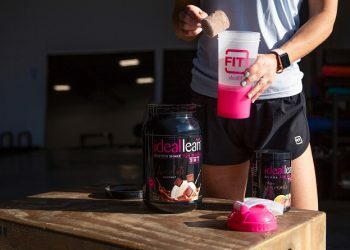 For pre-workout powders, you can’t go wrong with IdealFit or Myprotein. Both blends contain caffeine for a performance boost, as well as a vasodilator for better blood flow. IdealFit also has a stim-free version for those looking to cycle caffeine. 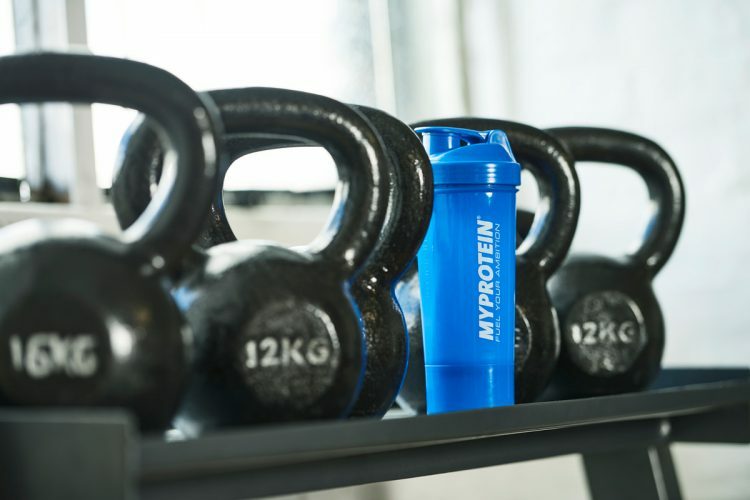 For post-workout protein, Myprotien is your one stop shop! They have affordable protein powders that come from the purest sources. 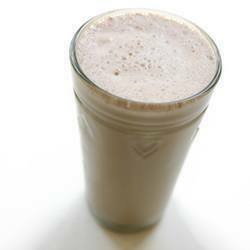 You can get whey isolates, concentrate, casein, or egg proteins. For overnight recovery, we are going to return to Myprotein for their bedtime extreme. It’s packed with a massive 40g of high-quality protein per serving, which contributes to the growth and maintenance of muscle mass, and is a slow-release blend that provides muscles with protein while you sleep. Stock up on your supplements now and use them appropriately, so you can see results like you never have before.